Criteria: H1: xemplify the cultural, political, economic, or social heritage of Evanston; A4: Exhibit a high quality of architectural design without regard to the time built or historic associations; A8: Exhibit an unusual, distinctive or eccentric design or construction technique, which contributes to the architectural interest of its environs as an accent or counterpoint; A9: Be selected for inclusion on the 1972 Illinois Historic Structures Survey, A10. Date source: Exterior Interpretive Sign; Evanston: 150 Years, 150 Places, Second Edition, Design Evanston, 2013. 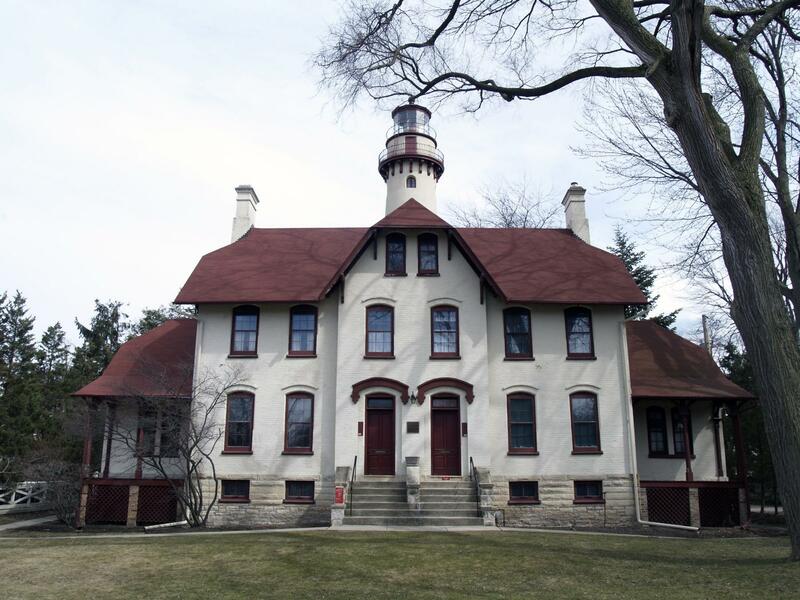 Historic Features: Two story central entrance bay with two doorway entrances; clipped roof of entrance bay with brackets; chimney stacks on north and south elevations; lighthouse tower on east elevation.